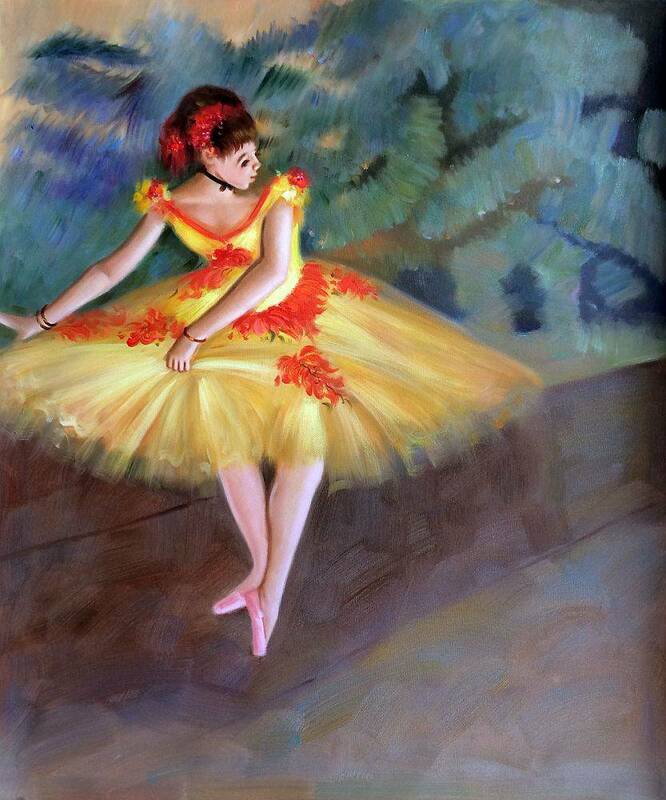 Born in Paris in 1834, Edgar Degas spent his life surrounding by brilliant artists and thriving culture. 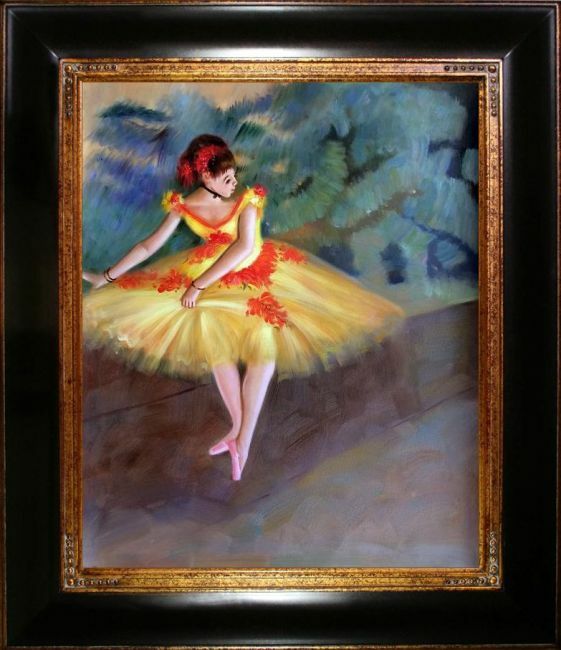 His painting "Dancer Making Points" is one of his many works focused on ballerinas and their beautiful art form. 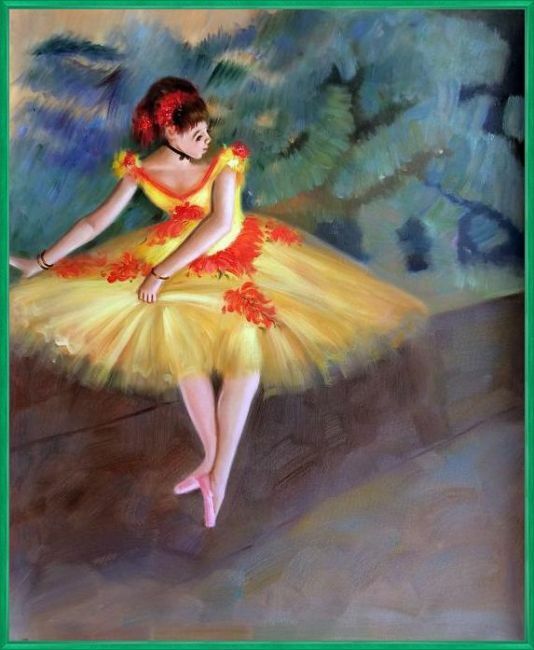 This painting depicts a dancer in motion as she points her toe gracefully in a ballet position. 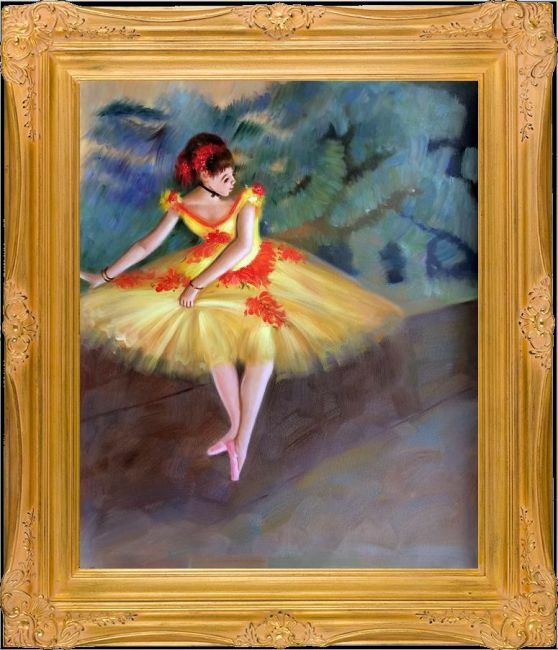 The quick brush strokes and blurred image is more than just an example of the Impressionist movement; it's also a stunning way to create a sense of motion in the painting, allowing the dancer to appear as though she may be about to twirl right out of the frame at any moment. 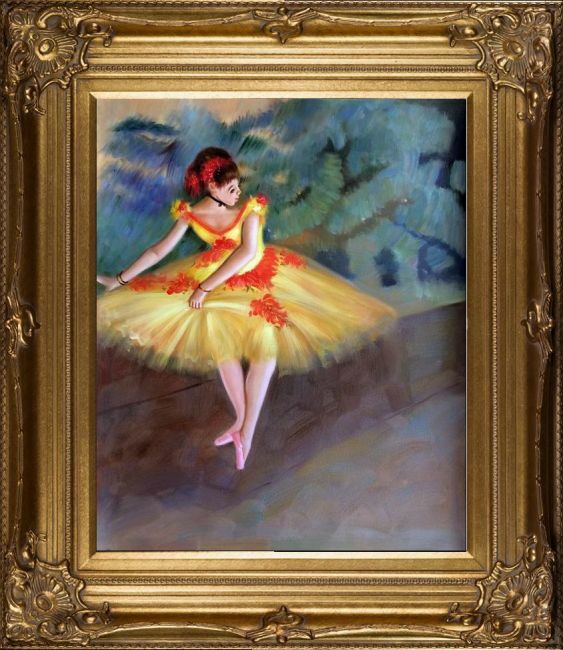 Unlike some of Degas' other ballerina paintings, this piece uses plenty of bold, bright colors to illuminate the dancer and make her the focal point. It's sure to catch the eye of anyone who walks into your home. 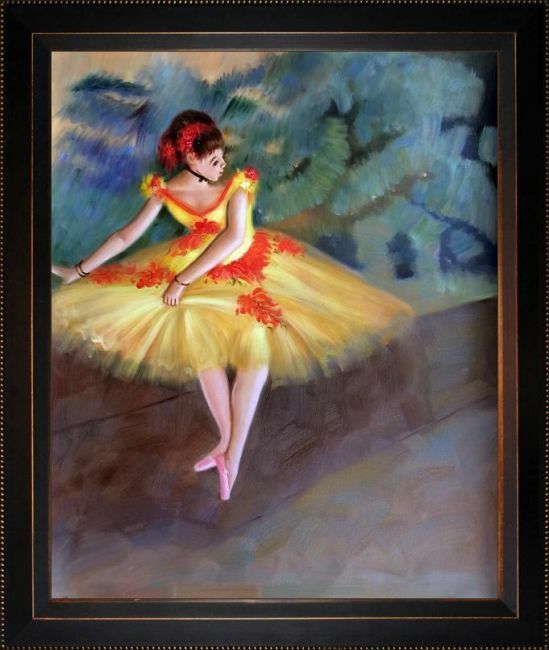 Get this stunning "Dancer Making Points" reproduction from overstockArt to bring beauty, grace and elegance into your home. Color Palette for Dancer Making Points is empty.